Hamilton High School Charger Marching Band finished one of its most successful seasons by placing third Oct. 17 in the large schools’ division at state competition. 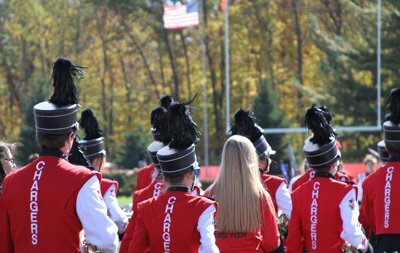 The Charger Marching Band took third place among nine bands competing in the AAAA division at the Wisconsin School Music Association’s Marching Band Championships held at the University of Wisconsin – Whitewater. 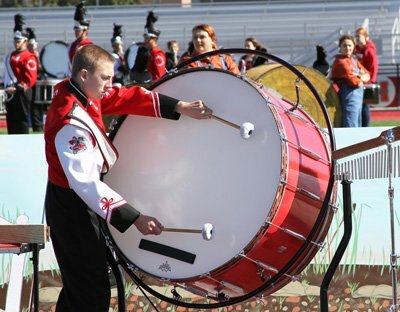 Its third place AAAA award matched last year’s performance and placed the band ninth overall in Wisconsin – its highest placement at state competition. Earlier in the competitive season, Hamilton earned high marks for its performances. The band took first place Sept. 27 in class AAAA competition at the Waukesha West High School Fox River Invite while receiving the award for best visual presentation. A day earlier, the Chargers placed second in class AAAA and third overall among 16 bands at the Waukesha South High School MarchFest. The Charger Marching Band also gave a free performance Oct. 13 at Grove Field for the public and band members at Templeton Middle and Maple Avenue Elementary Schools. 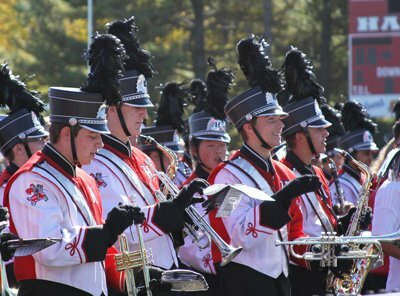 The band’s 2015 field show, “Life on the River Rouge,” chronicled the American family through different eras of American history, depicting the stability and central nature of the family in the agricultural and industrial eras and today’s digital age. Hamilton Band Director Jon Waite expressed gratitude for tremendous district, community and parent support which helped to make a successful season.